Imagine that, as an HR manager, you’ve been tasked with organising an employee appreciation event or team building program. 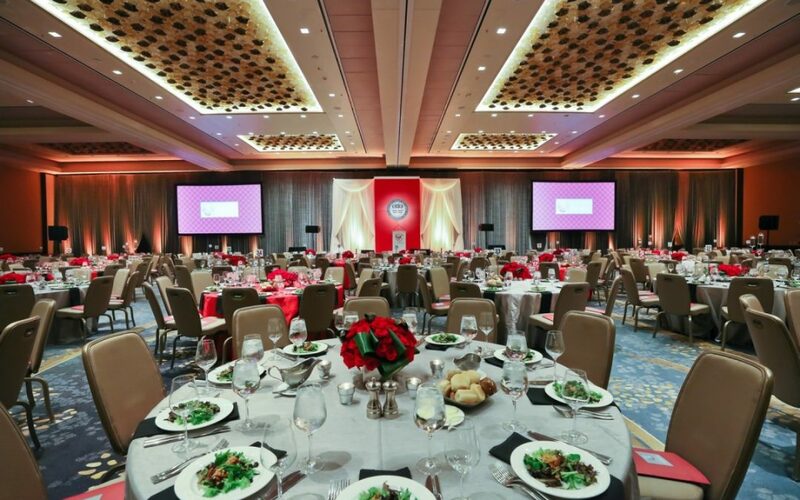 If you work for a large corporation, you can hire a top-level event planner and, after determining the right theme and budget, be done with it. But if you’re with a small to mid-size company, the pressure’s on you to throw an event that’s exciting and memorable, and not anticipated as yet another compulsory meeting in disguise. Here are some tips on Planning your Company’s Employee Appreciation Event. Wedding vendors don’t simply hibernate under fallen logs during the winter months. They might brand themselves as “wedding photographers”, “wedding bands” or “wedding planners” to get an edge on a very competitive niche of the event industry—particularly in SEO rankings—but when wedding season slows down, they’re often quite busy catering to corporate functions. Don’t stress about throwing a party that fizzles out and makes you the joke of the company. We’ve got a few pointers to put you on the right path. Employee parties are about letting co-workers get to know one another on a personal level. Picnics, holiday themed-parties, and team building program wrap-ups are ideal occasions for family-inclusive events, but the trick is making these parties fun and easy for everyone involved. It isn’t fair to ask your employees to drag their kids along if there’s nothing for them to do. Bored, crabby kids make for distracted, irritated parents, not to mention the negative effect on single attendees. Make sure you book live entertainment that keeps the little ones engaged. Magicians and clowns might be a bit trite, and the latter might raise some eyebrows (and neck hairs) among older guests due to the recent success of IT and overall coulrophobia, but it’s tough to beat a good illusionist or a few balloon animals. Live music, however, is a great way to engage kids and adults, especially if the band breaks out into mixed genres from different decades. Wedding musicians know how to keep a party going, and Wedding singers or other band members are accustomed to playing the role of emcee. Warn certain employees, such as department heads, CEOs, and celebrated top-performers ahead of time that they’ll be lauded at the event, and possibly called upon to show their silly side (performing karaoke in front of a live band, or participating in a dance-off). Don’t pressure employees to participate in games or sports during casual events; save those for team-building events. However, have plenty of games or bounce-houses on hand for kids. Would you attend an employee appreciation party if you were expected to bring a dish? Hire a caterer to manage the food, and make sure there’s something appropriate for little kids as well as vegans or those with other dietary requirements. Caterers can prepare boxed lunches for family outings or sports days, set up barbecues or buffets, or arrange a more formal dining experience for your guests. Ask your caterer if they can bring popcorn or fairy floss machines, and don’t forget about juice boxes and other kid-friendly beverages. Wedding photographers know how to work any party. Be sure your photographer knows when your wedding band is scheduled to announce event highlights, and have him set up a location for informal family portraits. Do you want to take advantage of social media sharing to increase brand awareness? Ask your photographer to order and set up a step-and-repeat backdrop, complete with a velvet rope for the portrait queue to give your casual event an exciting, “gala” feel. Wedding photographers usually offer online ordering for custom prints. Arrange for each employee to receive a credit they can use for free portrait prints, and allow them to view and, if they wish, purchase candids shot throughout the event. Don’t forget to rent a photo booth and props for some fun, self-directed photo keepsakes. When you think of employee picnics, you might be thinking of warm summer breezes, sprawling lawns or beach barbecues. Don’t overlook spacious indoor venues or entertainment centres for your company’s family event during the winter months. Many wedding vendors offer a variety of packages tailored to corporate events. If they don’t advertise them on their websites, ask if they can help you customise fees and services based on your needs. And don’t hesitate to mine them for ideas. Take a deep breath. Corporate social events are meant to be fun, and given the variety of resources in Australia’s metropolitan areas—especially Sydney and Melbourne—you can have quite a bit of fun planning an event that reflects your company’s culture.